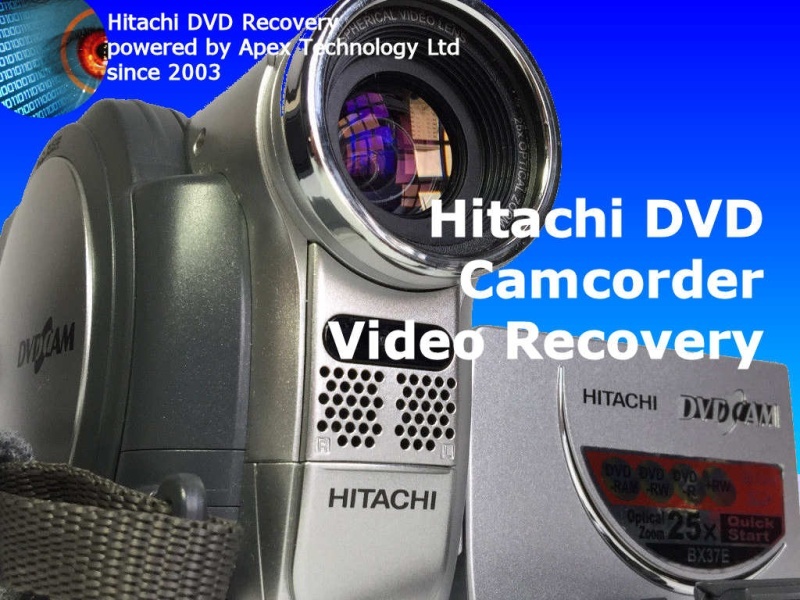 If you need a Hitachi DVD Video Recovery service, then contact our friendly company. In our experience the Hitachi camera's main error occurs while finalizing the mini dvd disks when the lcd display screen may show Found error in image file message. Common error codes are Error Occurred, error 0901, error 572, and error 2881. Hitachi usually recommend using the charger while finalizing a dvd, and if the camera powers off part way through, the disk will be left in an un-finalized state and will not play or allow navigation of the video clips. We can usually recover your video from the dvd so no need to panic.